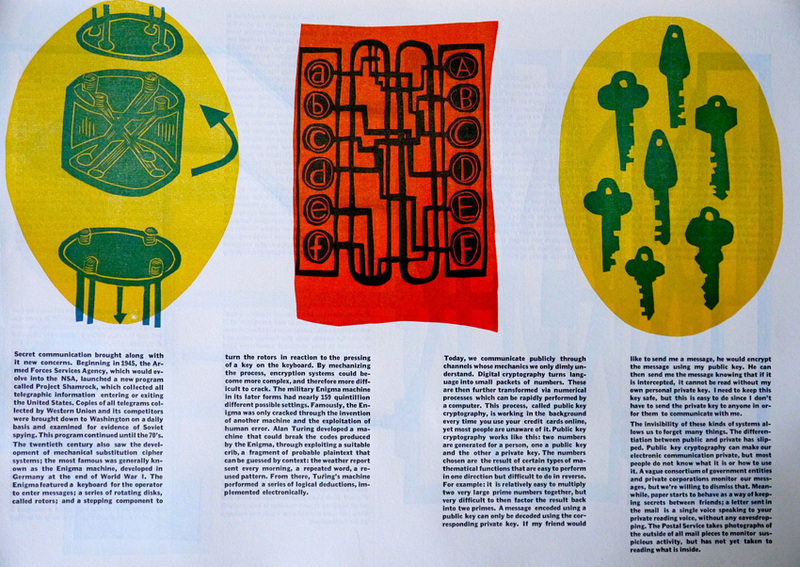 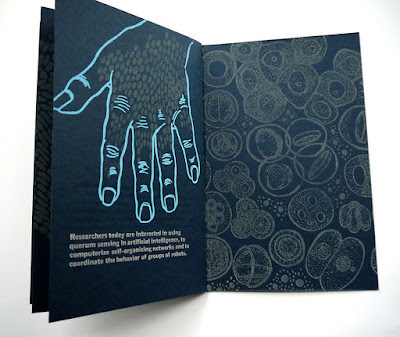 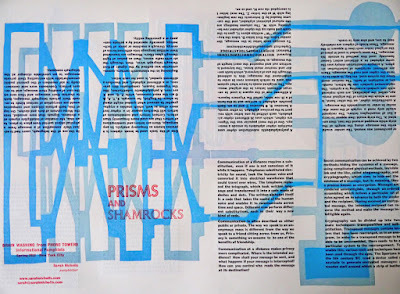 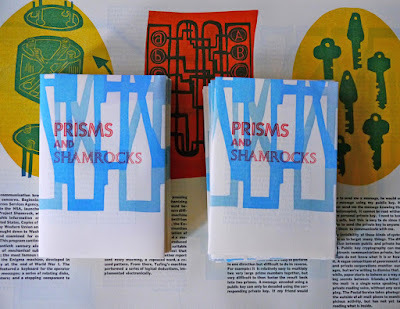 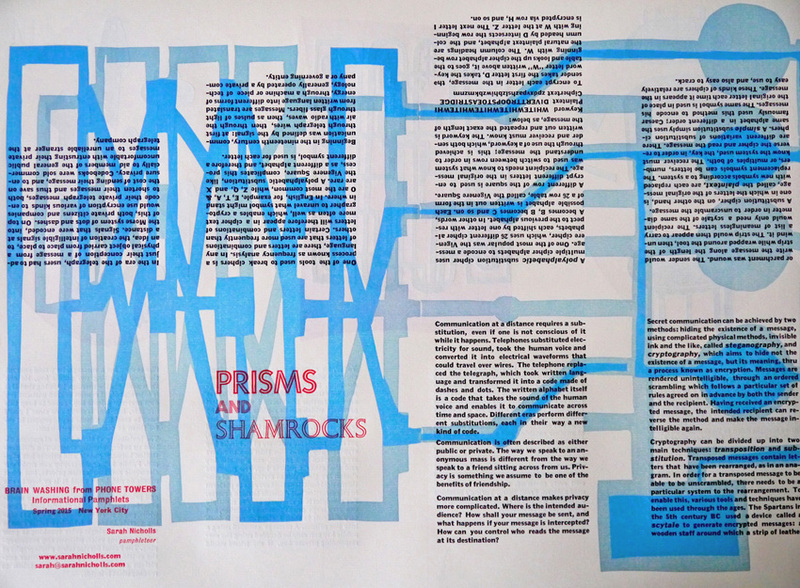 "I received a subscription to this pamphlet print project by the very talented American artist Sarah Nicholls as a gift this year, and the two beautiful books in the set include: Prisms and Shamrocks and Milky Seas. 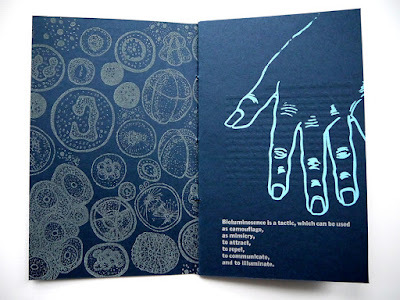 To call the books pamphlets seems quite dismissive as each one is intricately designed, printed in hand set metal type, and illustrated with the artist’s woodcuts and linocuts, so they are actually rather special. 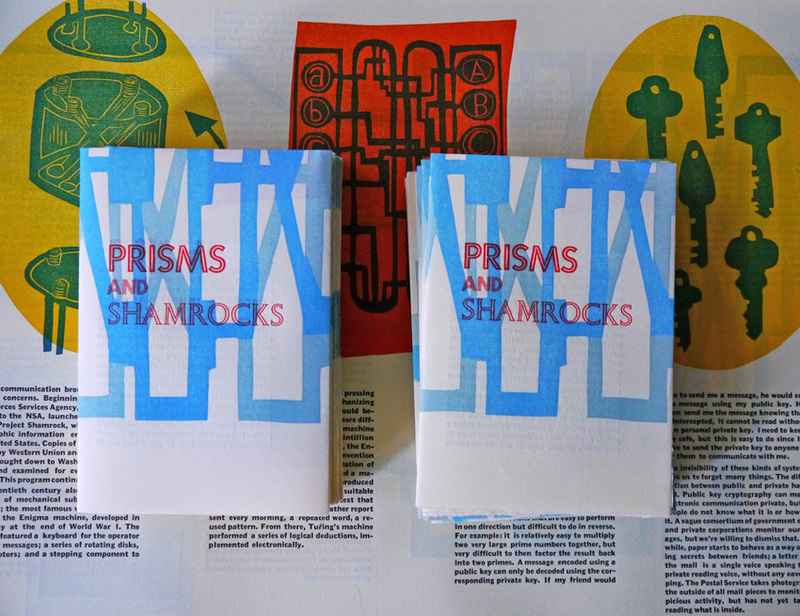 A year-long 2016 Brain Washing from Phone Towers Subscription includes a minimum of two books plus printed ephemera sent over the year for a mere $45.00 USD / £30.66 plus p&p. 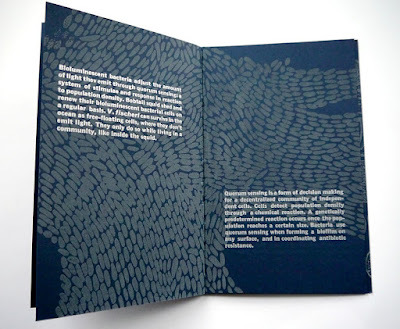 If you subscribe this month, you’ll get a free gift too. 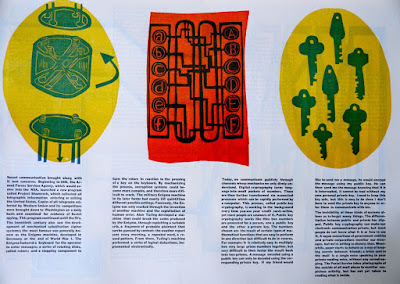 I have already renewed my sub for 2016.